Want to order Fresh Bronze Chrysanthemum Cushion Flowers? We have freshly cut Fresh Bronze Chrysanthemum Cushion Flowers that have been carefully grown to ensure that every petal is perfect and plush. Our Fresh Bronze Chrysanthemum Cushion Flowers will definitely show that special someone the love and adoration you have for them. They are also perfect as the accent color for your special event or occasion. We put care into every petal we provide to our Fresh Bronze Chrysanthemum Cushion Flowers. They can even be used as decor to decorate a private dining experience for your and that special someone. You can be confident when you order Fresh Bronze Chrysanthemum Cushion Flowers online with us. We are committed to quality customer service and delivering quality service to all of our customers. 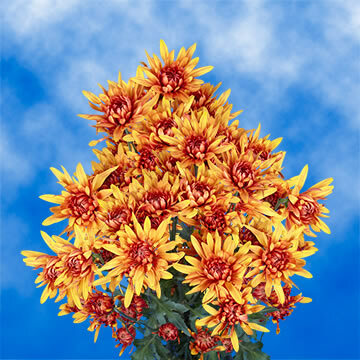 We have a proven track record of providing Fresh Bronze Chrysanthemum Cushion Flowers to customers around the world.